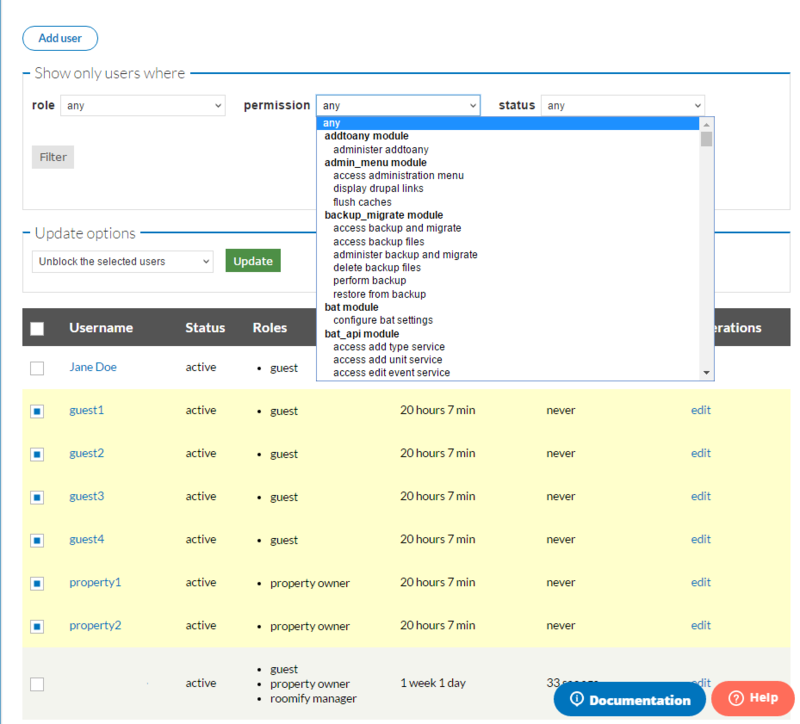 To manage the user profiles associated with your site, go to your dashboard, and under the Manage Configuration tab, select Manage Users. This screen lists all the profiles associated with your site, whether guests, property owners, or site managers. The drop-downs at the top of the screen allow you to filter the users by any of the three categories: role, permission, and status. 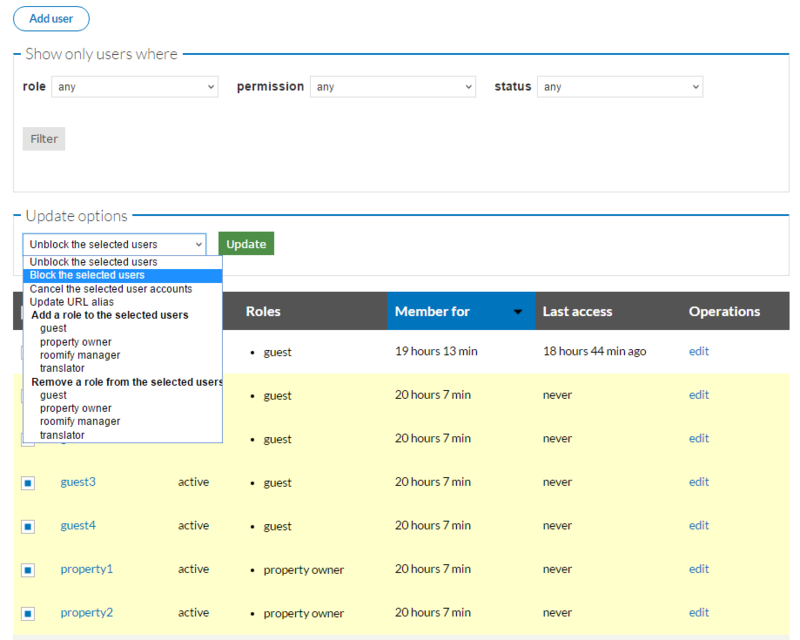 Once the users you are wanting to work with are displayed below, you can check the specific user profiles you are wanting to modify. The drop-down titled Update options contains all the modification options. Select the option you are wishing to apply, then click Update. The changes you have just made will be reflected in the list below.